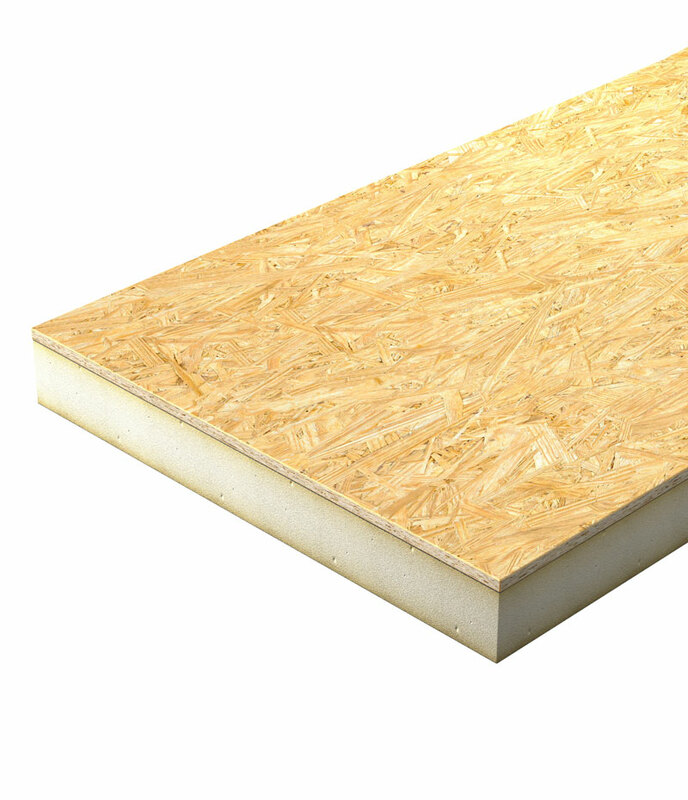 Suitable for use in both new build and refurbishment projects ProTherm PIR PLY is a rigid Polyisocyanurate (PIR) foam insulation board factory laminated to 6mm Oriented Strand Board (OSB). ProTherm PIR PLY is a rigid Polyisocyanurate (PIR) foam core faced with an exterior grade FSC Certified Grade 3 OSB and an aluminum foil backing. The PIR foam core is temperature tolerant and withstands the application of hot bitumen to the surface temperature of 240°C. For a comprehensive NBS J42 or J41 specification contact Radmat Building Products. ProTherm PIR PLY is covered by certificate BBA No. 16/5341. ProTherm PIR PLY should be laid so that each long edge coincides with the centre of a joist. Noggings should be used to support all edges of ProTherm PIR PLY which are not fully supported by the joists and at points where the board is cut to fit openings etc. ProTherm PIR PLY should be fixed to joists set at a maximum of 600mm centres, with the timber side uppermost and the board laid with the long edge running along the joist. Where an overall vapour control layer is required, this should be achieved by applying a continuous bead of mastic ( i.e. Neutral curing silicone sealant ) to the upper surface of all supporting timber. ProTherm PIR PLY should be laid onto the mastic and fixed with round-headed screws, spaced at 300mm centres down the line of each joist and / or noggin. The screws should be long enough to allow a minimum 35mm penetration of the supporting timber and be positioned not less than 10mm from the edge of the board or 50mm from the corner. Where two ProTherm PIR PLY panels are fixed to the same joist or noggin, the fixing centres should be staggered. The ProTherm PIR PLY panels should be lightly butted and all edges must be supported by a minimum of 20mm bearing onto the face of the supporting timber. All installation to be according to guidelines and specifications supplied by Radmat.